When you apply a group policy on a container or OU, it applies on all users or computers in that container. However, you can exclude a single or multiple users or containers from the policy applied. This tutorial is written to show you how to exclude a single user from a group policy object. Step 2. In the group policy management editor, open the group policy object you want to apply an exception on (Located in Group Policy Objects). Step 4. 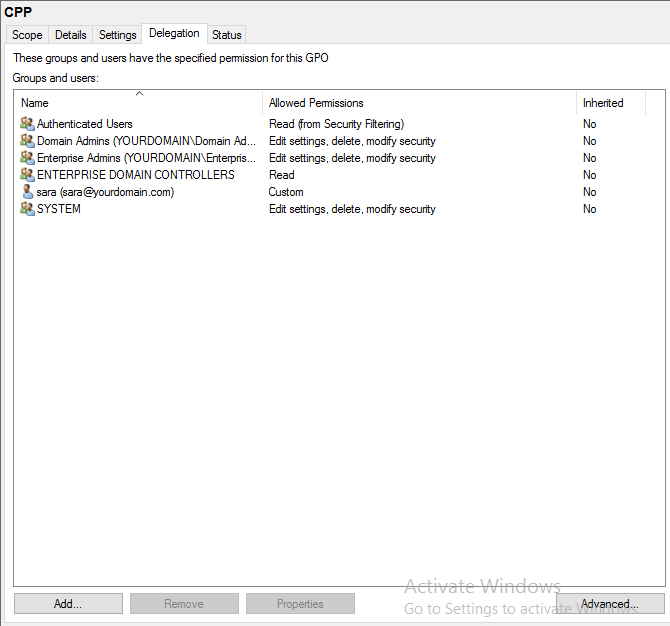 Click Add and choose the user whom you want to exclude from group policy enforcement. Step 5. Choose the user you entered in step 4. Step 6. Locate Apply group policy in permissions and check mark deny. Step 7. Click Apply and then OK. Step 8. 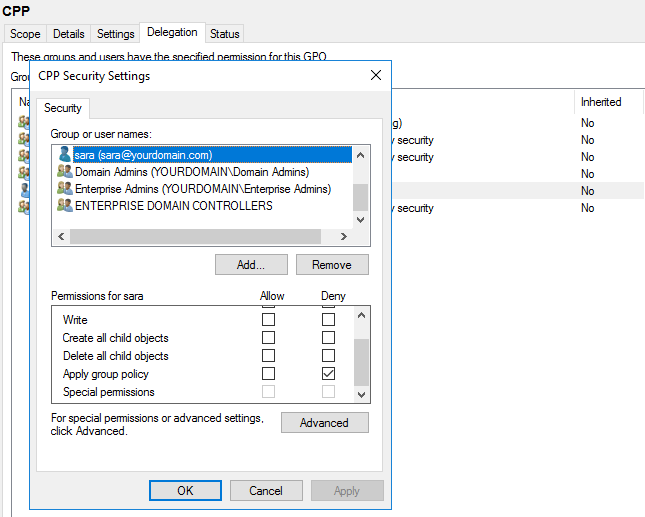 Link the group policy to a container or OU (If you haven't done already). Step 9. Execute gpupdate on the command prompt.